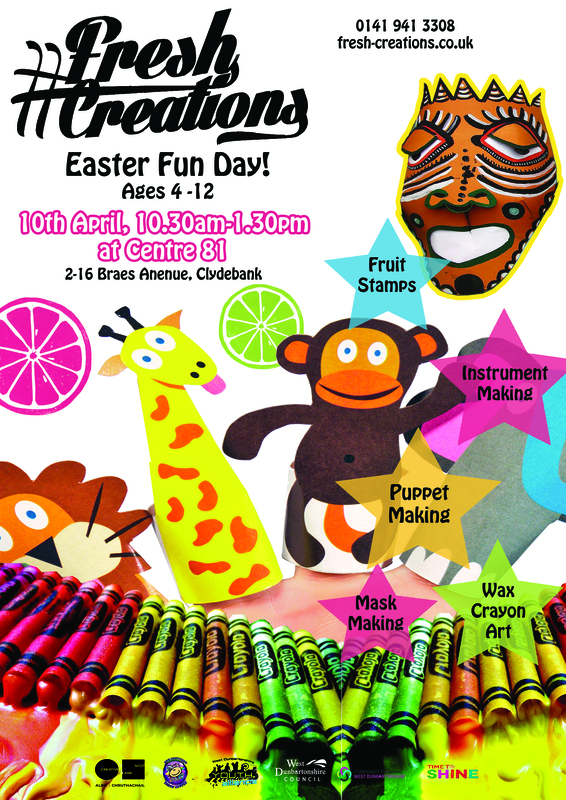 April 10th, join us for a one day event for your wee ones! All 4-12 year olds are welcome to participate in various creative activities. 10.30am-1.30pm at Centre 81! This event is FREE! We hope to see you there! You’ll also have a chance to sign up for future workshop blocks for ages 4-12. For more information, get in touch at info@fresh-creations.co.uk or call us at 0141 941 3308.